This is the place, where you can throw all of your Kingdom Hearts stories into. Long as it is in relation to Kingdom Hearts, it doesn't matter how you write it. There will be a poll on November 30th to choose, whose story was the best for this month. If your story is too long, you may leave link a with your op here, and create a separate thread to carry on the rest of the story there. My name is Naminé, and I have done terrible things. 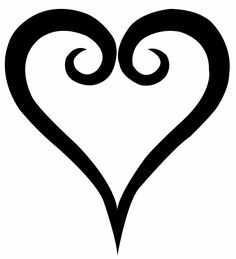 I have served the Organization XIII, who made me take apart the memories of a young boy, Sora, and replace the most important person in his heart with my own image. I created false memories for a replica, a fake person, to make him think he was real and that his only purpose was to protect me; then, when he could no longer serve his purpose, I broke him. Now, in trying to fix these mistakes, I serve DiZ, a man who in his quest for revenge is almost as cruel and heartless as the Organization he seeks to destroy. He is having me take apart the memories of another young boy, Roxas, in order to put them back into Sora, who is sleeping until his memory can be reconstructed. DiZ says it doesn’t matter, because Roxas is a Nobody, a being who shouldn’t exist—but then, so am I.
That’s right. I’m a Nobody—a non-being with a false body and a fake heart. And I am a witch. This is what DiZ calls me. I have power over Sora’s memories and those around him, and this is why I am useful to DiZ. This is why I’m allowed to continue to exist. But, I fear my usefulness is coming to an end. I pray my usefulness is coming to an end. The door opens without a sound, and almost as noiselessly a man walks in, betrayed only by the soft brush of fabric against his long, dark coat. I don’t turn around. The hooded figure doesn’t answer. I hear the rustle of fabric, and this time I turn, half-expecting a keyblade to be drawn and swinging toward me. But the man is standing as motionless as before. I step toward him. “It’s not that simple, Naminé,” the other figure says, and pulls back the hood covering his face. I reopen my eyes and look. I see what the last year has done to him. The darkness has changed him. It wouldn’t be apparent to anyone—his face is young, strong, even handsome in a hard and unforgiving way. But it isn’t even his face anymore. It’s the face of the man who enslaved him, who chained him to the darkness, and that chain hasn’t broken yet. His eyes, the only part that is truly him anymore, are guarded and cautious. You can see the darkness that lurks just beneath them. He hesitates. “Yes,” he admits. “Then do it!” I half-shout, half-plead. He shakes his head. “I told you, it isn’t that simple.” He pauses then, as if in thought. “But maybe there is a way you can make partial amends for what you have to do.” With a gesture, a portal of darkness opens between us. I look between it and him, uncertain. Swallowing, I hold my ground for a moment longer, before I walk with him through the portal into darkness. The full story is approximately 4,000 words. You can read the rest here. Great to see another story. Maybe you could copy part of the story onto this thread, even just the first chapter, to give people some idea of what they're reading when they click the link. http://forums.khinsider.com/fanfiction/183789-kingdom-hearts-1-5-three-missing-heroes.html In case anybody is interested, here is a link to the first chapter of Kingdom Hearts: The Three Missing Heroes. Anyways, I am looking towards some ideas to how King Triton's wife, Queen Athena dies. In the movie, she was killed off by a pirate's ship, but I am planning on her death at the hands of Sven and Ursula has something to do with it. I know there is some grammar issues.